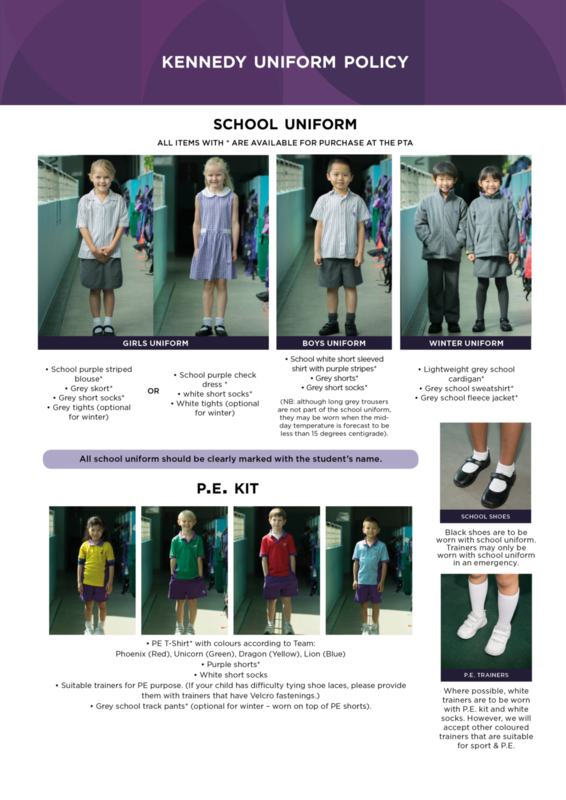 School uniform should be worn during school hours. All school uniform should be clearly marked with the student’s name. When purchasing black school shoes for your child, please try to buy either laced ones or those with a ‘T’ strap. 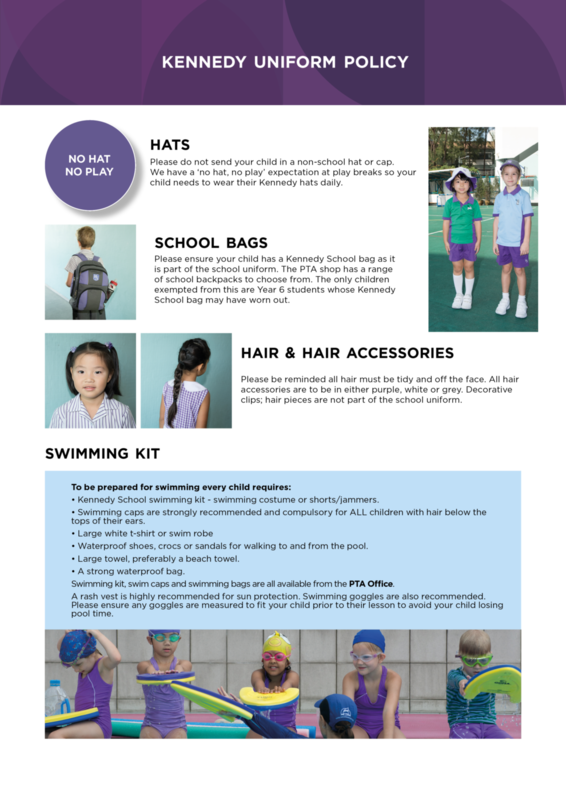 Trainers may only be worn with school uniform in an emergency. 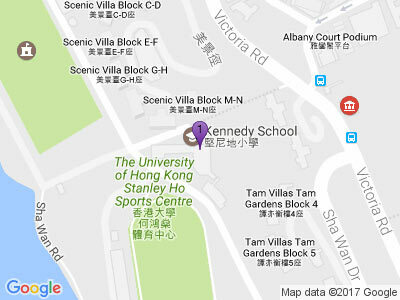 Kennedy School uniform is sold exclusively from the Uniform Shop at the P.T.A. Office at Kennedy School. Anything brought to school is the child’s responsibility. To avoid distress, students should not bring precious or expensive belongings to play with in the playground. If something is brought to show, it should be left in the classroom all day. Only watches and stud earrings are permitted at school. Students wearing jewelry will be required to remove it during PE lessons as it presents a danger to them and to others.